Traveling to Egypt may not top every backpacker’s to-do list, but this fascinating country is a gateway to the ancient world. Starting your journey in a Cairo hostel, the land of the Pharaohs is your oyster, with the pyramids at Giza and living museum Luxor are within easy reach. Buses are the easiest and cheapest way to get around the country from Cairo, as the service is reliable and relatively safe. The buses vary in quality depending on how touristy the destination – Dahab, Sharm el Sheikh and Luxor are served by slightly more expensive buses with air conditioning and toilets. 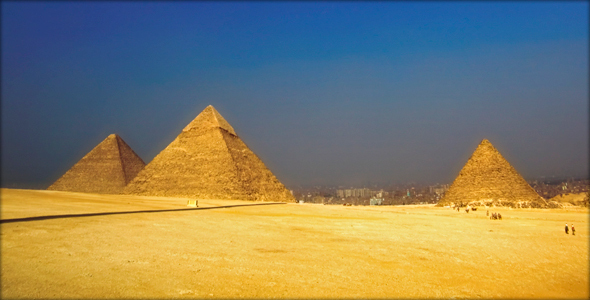 Modern day Cairo is certainly hectic, but the capital is an essential first stop on any Egyptian tour. The Egyptian Museum is a vast cave of ancient treasures, and home of the golden face of Tutankhamen. It’s a great way to cool off from the heated streets, and the crowds aren’t too hectic in the afternoon. The city is also home to scores of Arab architecture and medieval sites from the days of Saladin. The ‘Blue’ Mosque, made of ink and turquoise mosaic tiles, was built in 1347 and is Cairo’s prettiest, and the minaret of the Ahmad Ibn Tulun Mosque boasts the best view over the city. Cairo’s bustling bazaars and souks are a sensual feast of fragrant spices and sheesha pipes, brightly coloured fabrics and stalls crammed into the marketplace. Perfect for sourcing an exotic souvenir, you’ll need razor-sharp haggling skills. Cruising the River Nile in a felucca. After sundown, the souks are packed with snake-charmers and belly-dancers. For more modern entertainment, head to Zamelek for bustling outdoor bars and hipper-than-thou clubs. For a more relaxing classical attraction, the River Nile has been the lifeblood of Egypt since ancient times, and the ultimate way to see the city is to glide through the heart of Cairo on a felucca, a traditional Egyptian wooden boat. One of the seven wonders of the ancient world, Giza may be touristy, but the three famous pyramids and the grand Sphinx are simply unmissable. If you must take a horse or camel ride around the pyramids, agree to the price first, or you’ll end up ripped off, or stranded on a camel! Luxor feels like an outdoor museum, its nineteenth-century boulevards lined with ancient temples and monuments. The Karnak Complex is home to the biggest temple in Egypt, as well as obelisks, sphinxes and all manner of ancient paraphernalia. Take a tour to the Valley of the Kings in Thebes for the cursed tomb of Tutankhamen and Ramses VI. One of Egypt’s oldest Coptic monasteries – St Anthony. Photo credit – gotplaid? The list of must-see ancient sites is overwhelming in a country so rich with history, but there are a couple worth making the extra trek for. For a change of scene away from the rampant tourism of the major sites, check out Egypt’s oldest Coptic monasteries St Anthony and St Paul, hidden amidst the arid mountains and barren cliffs of the Red Sea. The surrounding desert is breathtaking, and the monasteries themselves have a fascinating past. The catacombs of Kom es-Shoqafa in Alexandria are a more ghoulish sight – these subterranean tombs tunnel underneath solid rock, and are filled with the burial chambers of a wealthy family from 2AD. A mix of Egyptian relics and Greco-Roman architecture, these tombs document the dying days of the ancient Egyptian faith. A small coastal town by the Sinai Peninsula. Photo credit – FrankDaSilva. If you’re feeling all Pharaoh-ed out, try diving the Sinai Peninsula at the resort of Sharm El Sheikh. Experienced divers can take a boat trip from one of the diving shops to Ras Mohammed National Park, and first timers can learn the ropes by snorkeling in the shallow reefs of Middle Garden. Whatever your level of diving expertise, the exotic marine life, unbelievably clear waters and rainbow coral reef make this one of the best diving spots in the world. If you don’t fancy diving into the deep blue, the postcard perfect beaches are the perfect place to recover from hours of trekking through ancient sites.